The two largest pieces of the Cullinan Diamond became the two that fulfilled King Edward VII’s promise to include the stone in the Crown Jewels. He also gave them their nickname, the Stars of Africa. 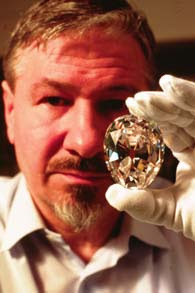 The largest diamond is Cullinan I. Weighing in at 530.2 carats, it measures 2 1/8” long, 1 ¾” wide, and 1” thick at its deepest part. It was cut and polished by Asscher's into a pear shape with 76 facets, and is the largest colorless cut diamond in the world. 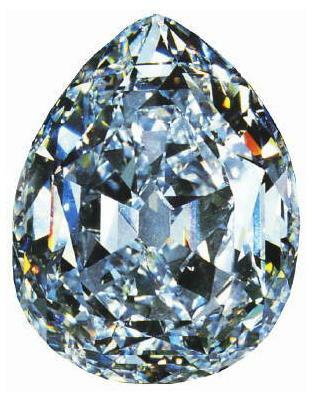 The second largest cutting is Cullinan II, a cushion-shaped 317.4 carat diamond. 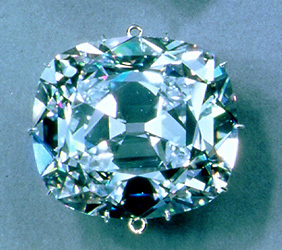 The first setting of the stones was a temporary one – one giant brooch in which Cullinan I was suspended from Cullinan II. You can see the loops used to create the brooch above. 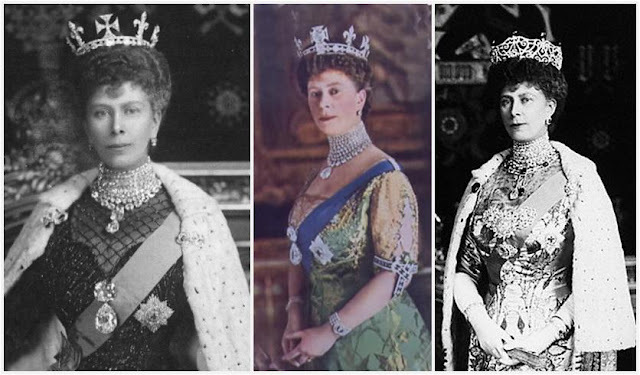 Reportedly, Queen Alexandra wore both plus the Koh-i-Noor on at least one occasion; Queen Mary used the brooch setting (with other smaller Cullinans worn elsewhere), and even suspended Cullinan I from the Koh-i-Noor brooch. After Edward VII’s death in 1910, Garrard was asked to incorporate them into the existing Crown regalia. The Sovereign’s Sceptre with Cross was modified to hold Cullinan I at the top. The sceptre originally had an enamel fleur de lys at the top which was removed but echoed with the scrolls of gold and enamel that now hold the Great Star. Cullinan II was set in the band of the Imperial State Crown. The famous Stuart Sapphire was moved to the back of the crown so that the Second Star could sit front and center. 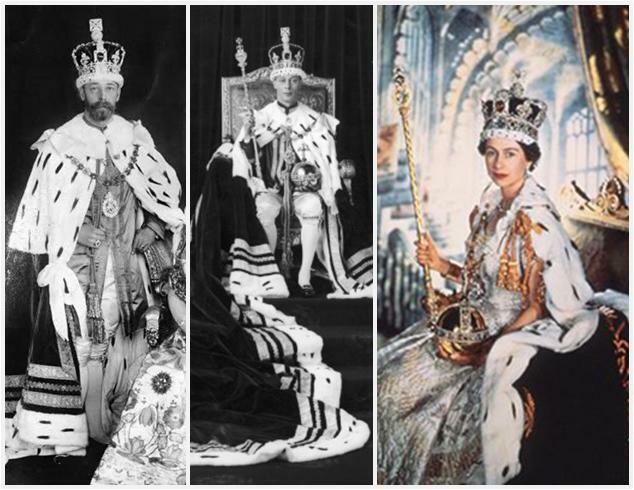 The newly altered regalia was used first for George V's coronation in 1911. 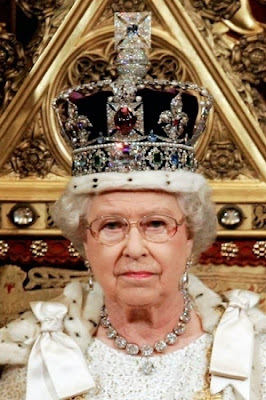 The new locations of the stones were created so that they could still easily be removed and used in the old brooch fashion, which Queen Mary was the last to take advantage of. 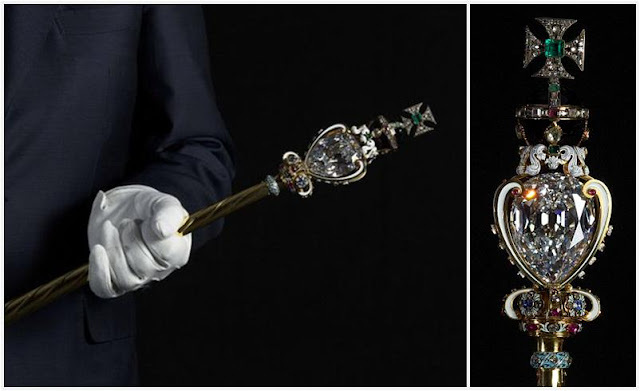 Both large Cullinans and their settings are included in the public display of the Crown Jewels at the Tower of London, which has recently been revamped and reopened in time for the Diamond Jubilee. This is part of a series on the famous Cullinan Diamond. Click here to see the rest.